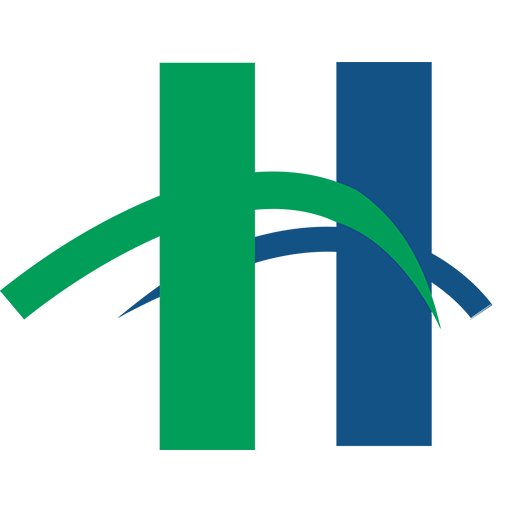 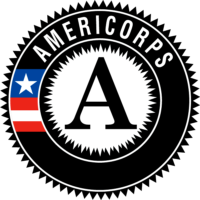 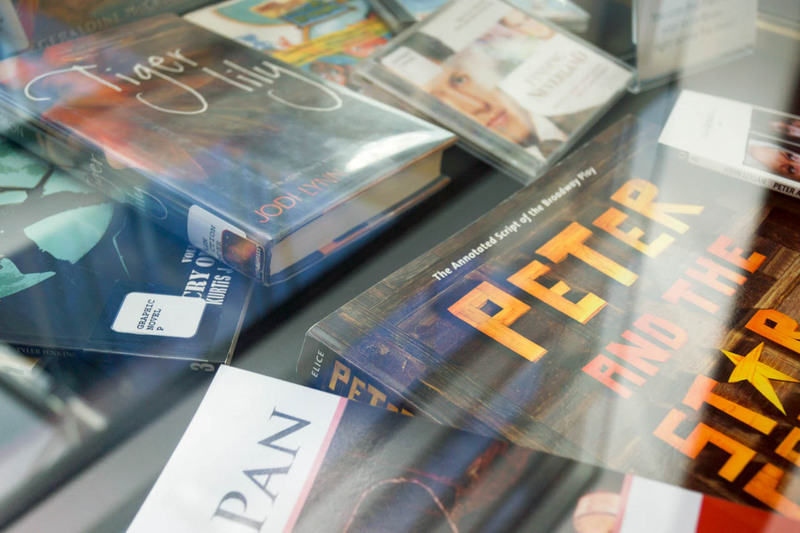 A Collaboration between Heights Libraries and Dobama Theatre. 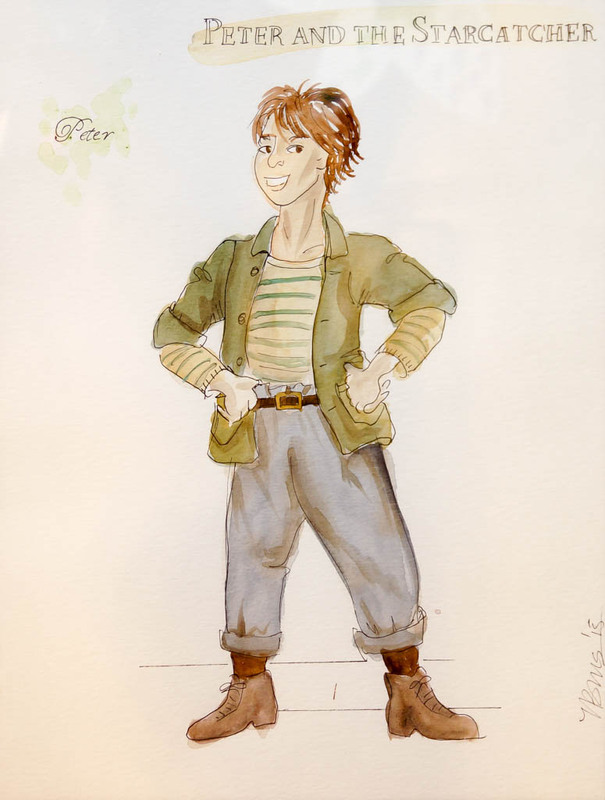 He’s a character, a book, a play, multiple TV productions, movies, other books, and here at Dobama Theatre, the theatrical interpretation called Peter and the Starcatcher. 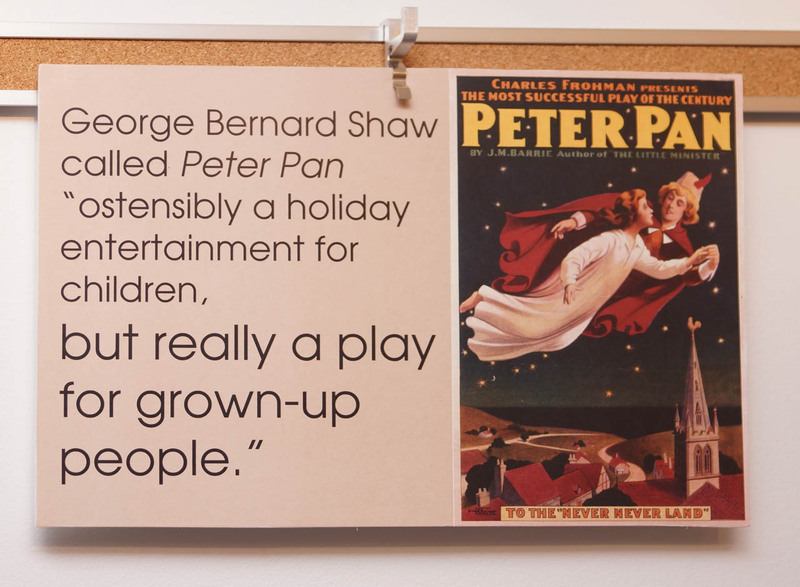 He’s the boy who never grows up; he’s an attitude that lives in the hearts of the young, and the young at heart. 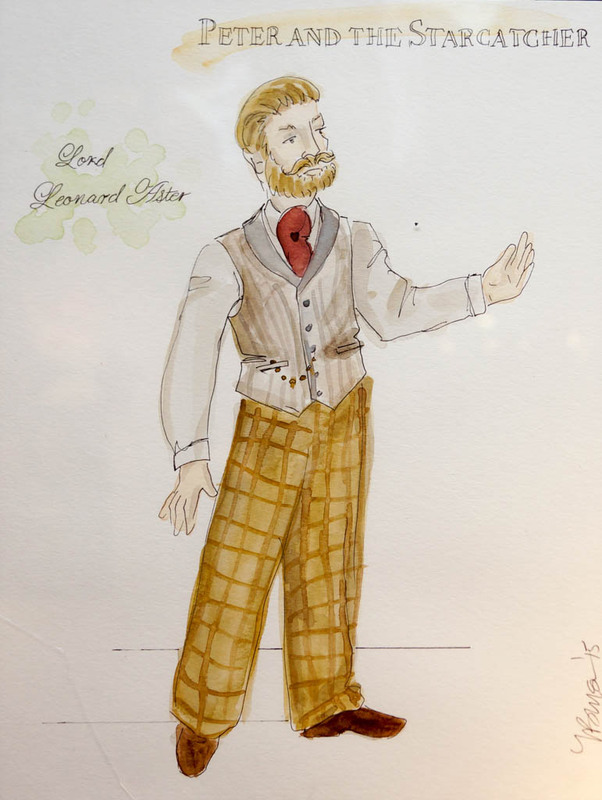 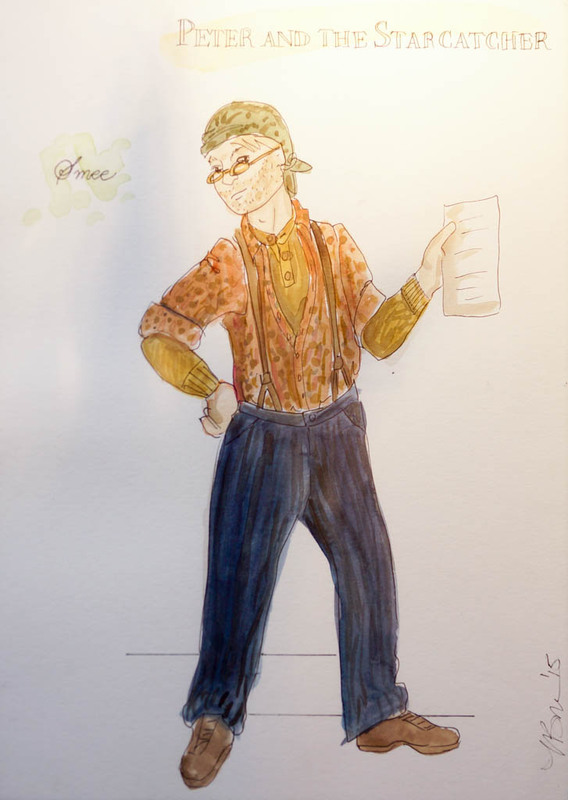 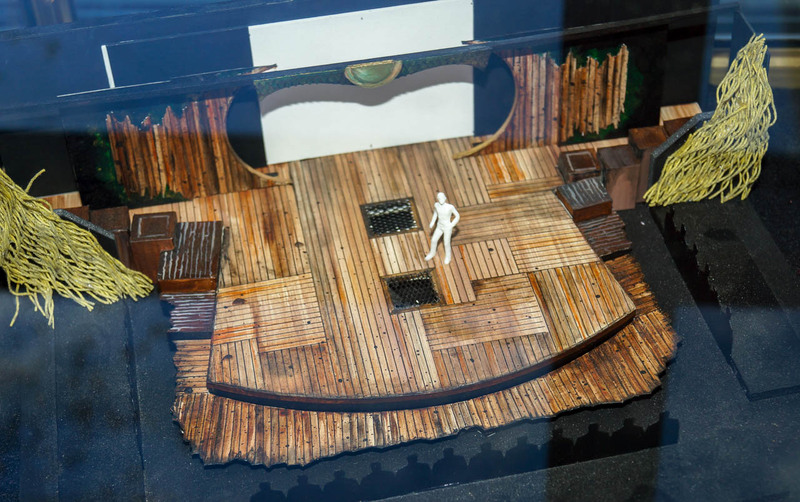 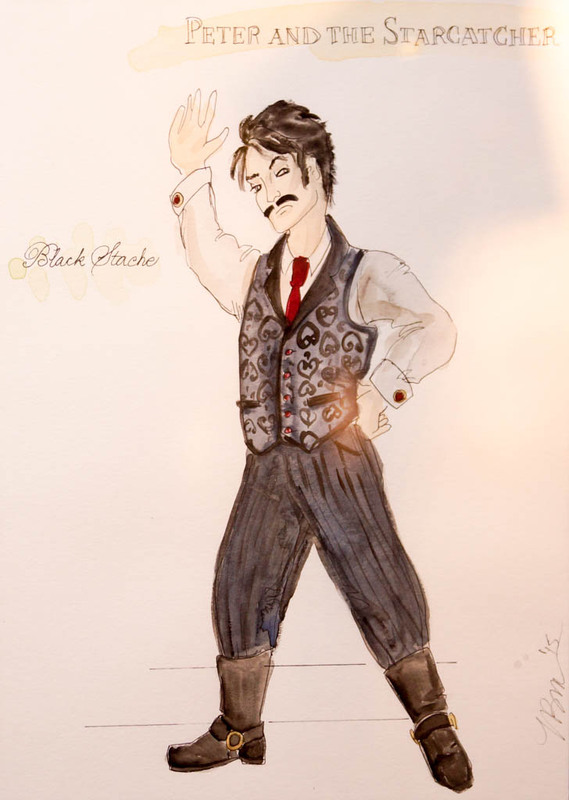 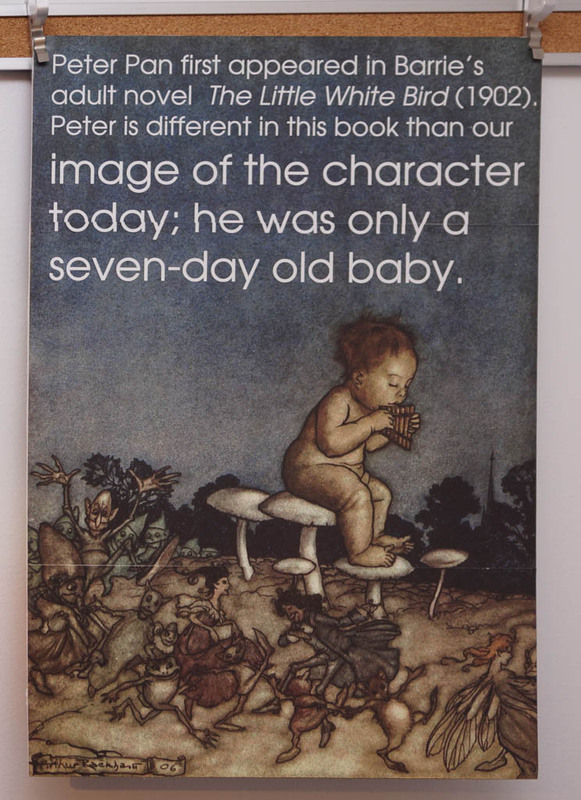 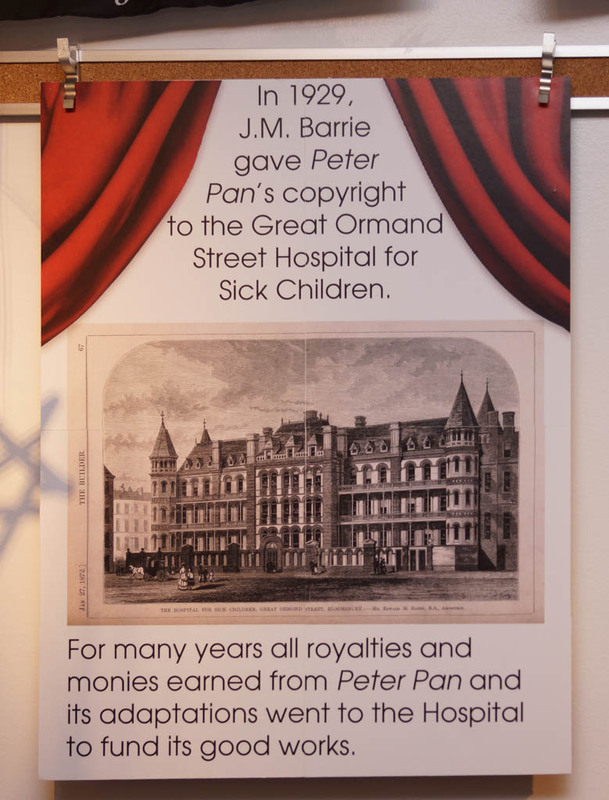 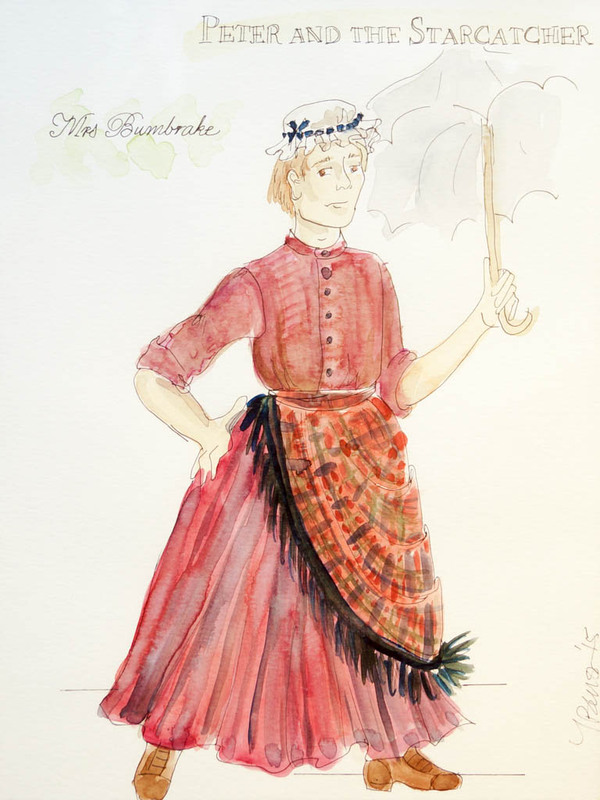 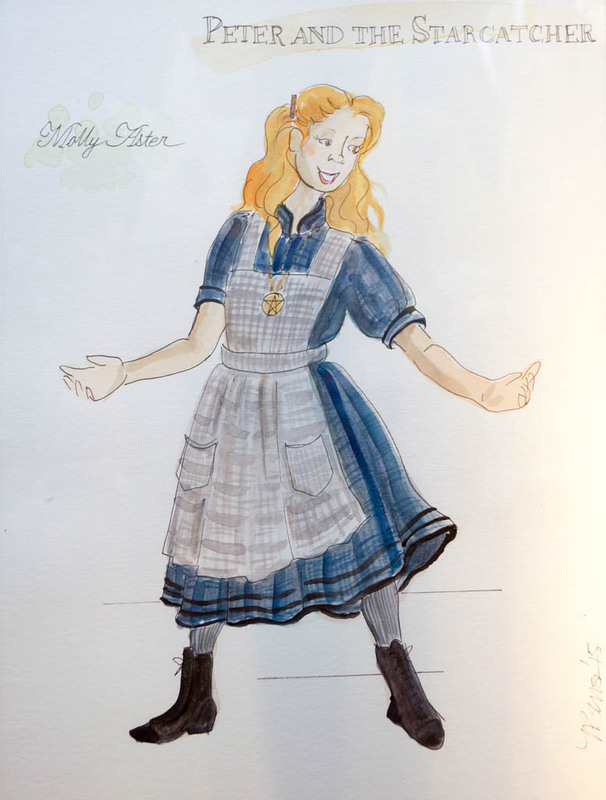 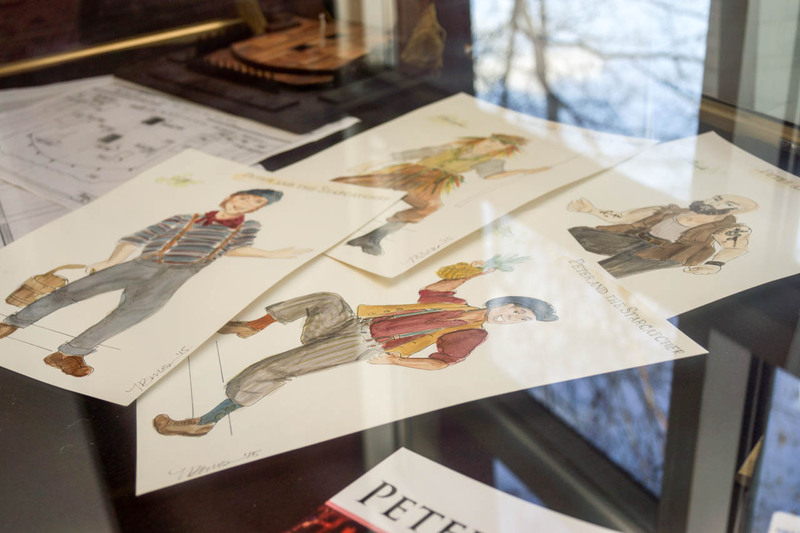 Enter the Art Gallery and see concept art from the play’s production, find out where Peter Pan first appeared (as a 7-day-old baby! 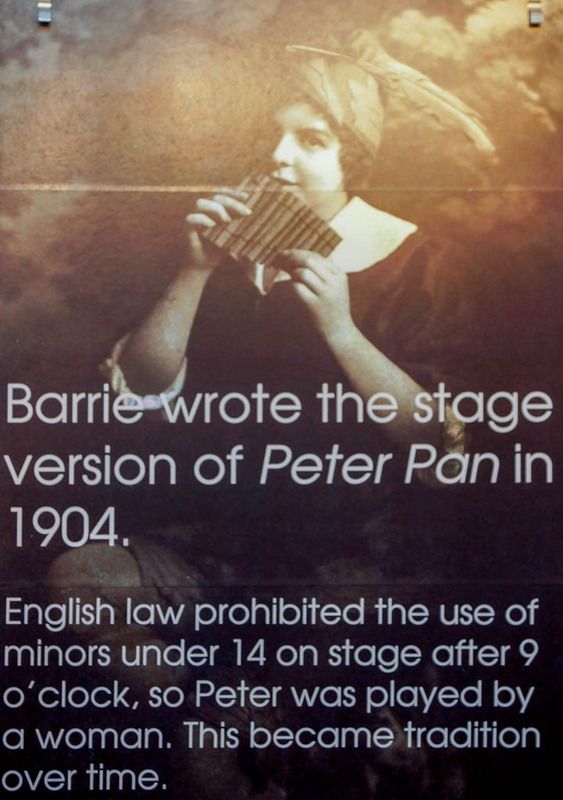 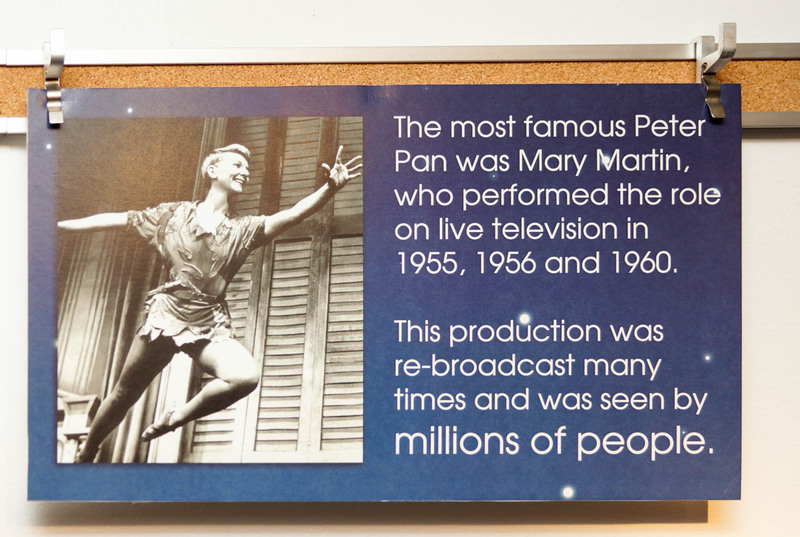 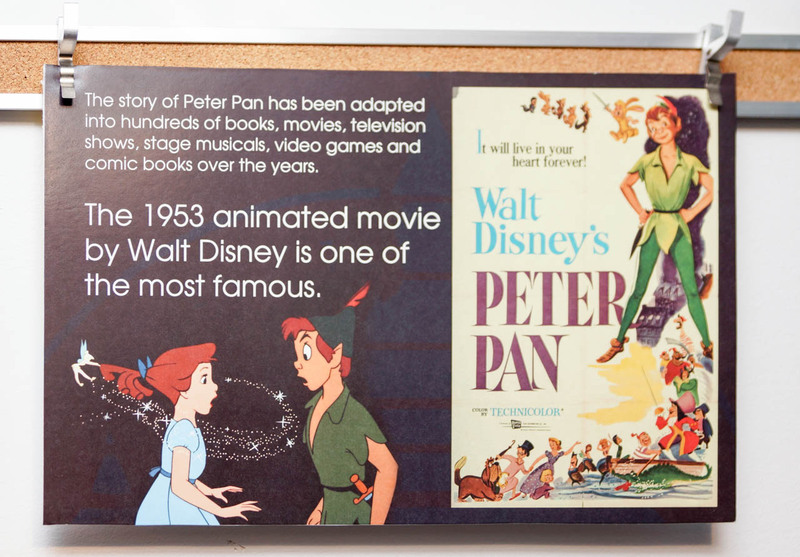 ), and learn why women traditionally play Peter Pan in theatrical productions. 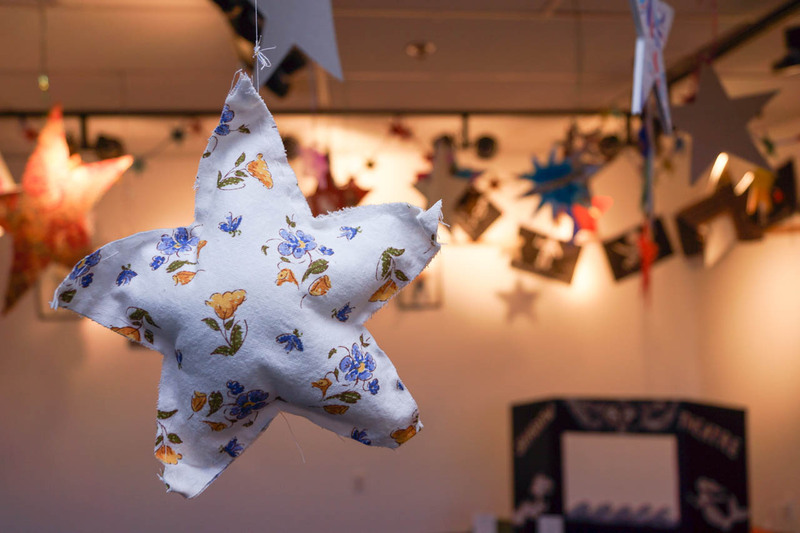 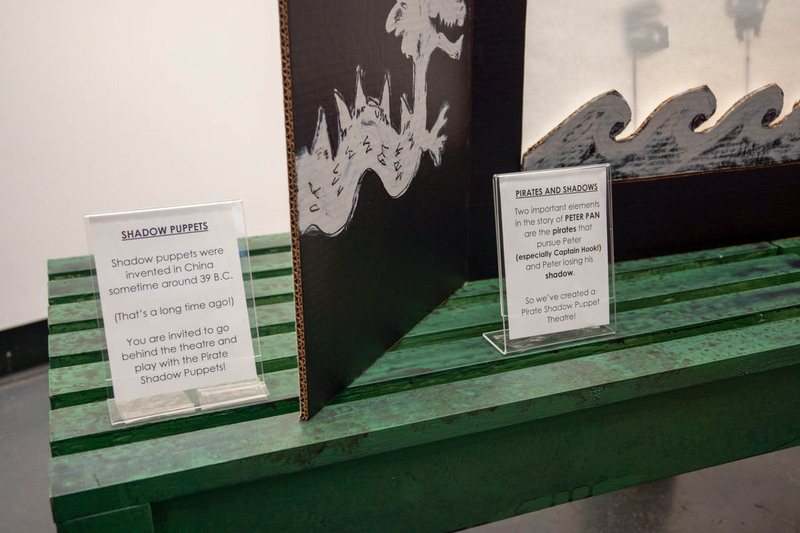 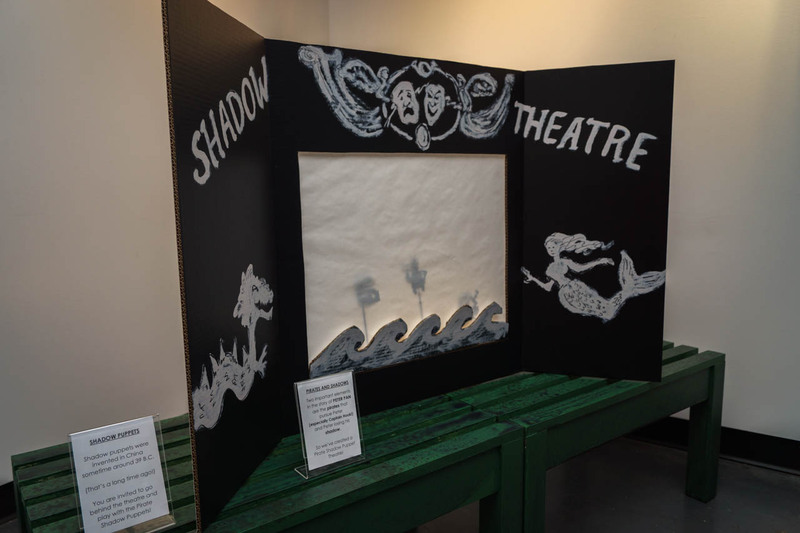 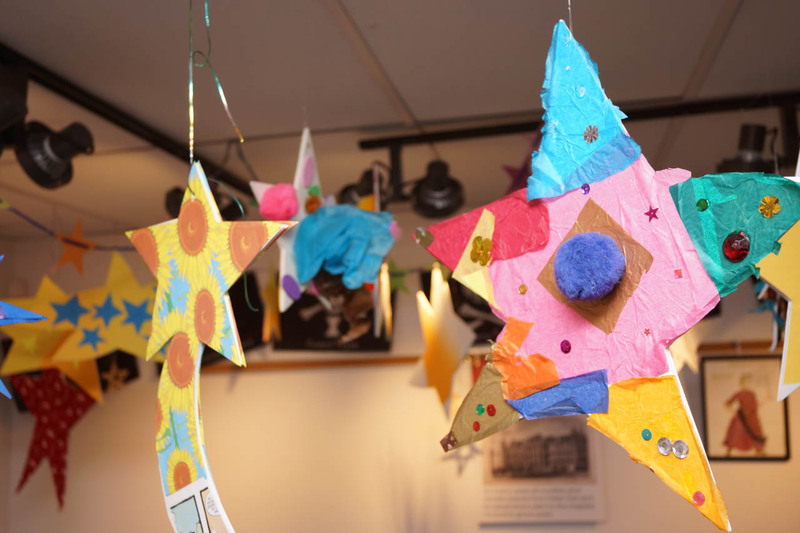 Take your time under the stars (made by young artists in all four of the Heights Libraries branches), and play around in the shadow puppet theater.